A portrait Studio will be set up at the reception that takes place at the Flag Pole Plaza. This is a free service to all UBC Graduates and their families. Please stop by to have a complimentary portrait taken either before or after graduation. Feel free to have an individual portrait and family photograph taken. 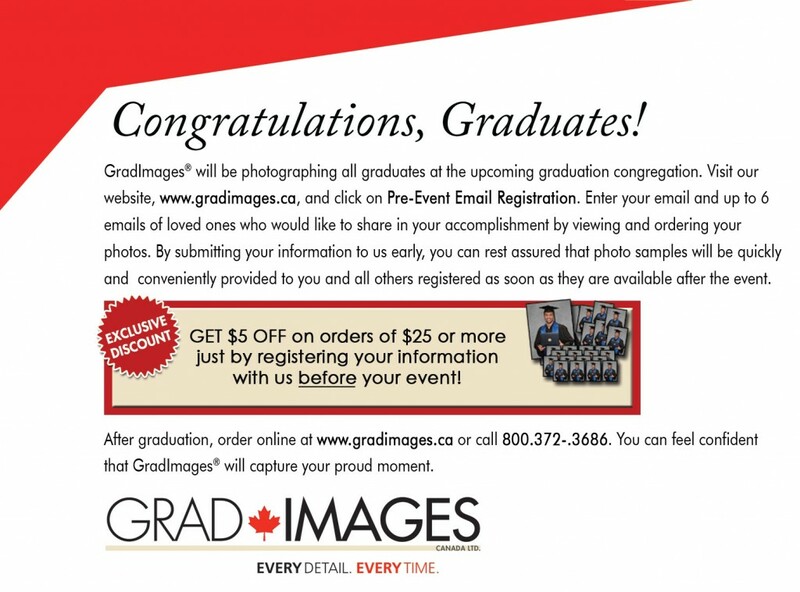 There is no obligation to order; your picture proofs will be emailed / mailed to you within 5-7 days following graduation. At that time you can order your stage photos and the ones from outside the tent by visiting www.gradimages.com or call 1-800-372-3686. Check out the large selection of photo frames available at the UBC Bookstore or online.